If desired, sprinkle with toasted sesame seed just before serving. To bake foil packs: Heat oven to 350°F. 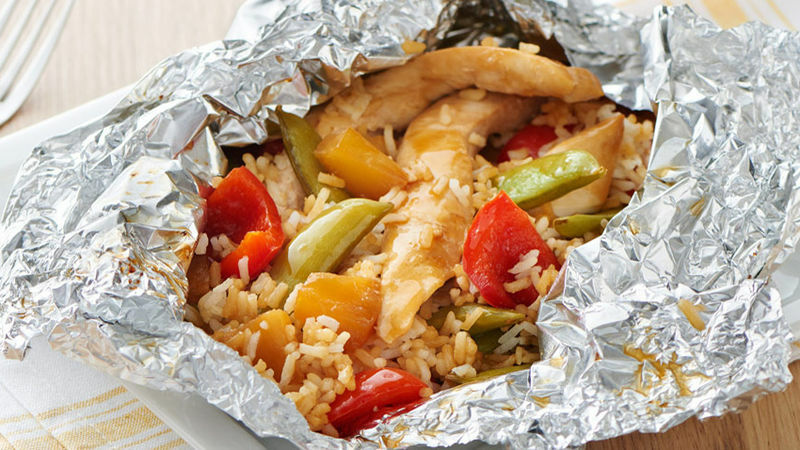 Prepare foil packs as directed in recipe. Place packs on large cookie sheet. Bake 30 to 35 minutes or until chicken is no longer pink in center and vegetables are crisp-tender.